Do you love the sight of a beautiful butterfly? We do. They’re so graceful and light in their ways. They’re perfect examples, in our opinion, of how we might transform into people filled with grace and loving light. Joe pye weed is a perennial that grows medium-pink blooms and pretty, foot-long leaves. The flowers on this plant smell like vanilla, which will surely be attractive to you and to the butterfly friends you wish to spend time with. If you want a big and showy plant in your garden that will draw in butterflies in swarms, consider Russian sage. Russian sage is perennial known for its silvery foliage and for its small purple blooms, which seem to come in bursts. 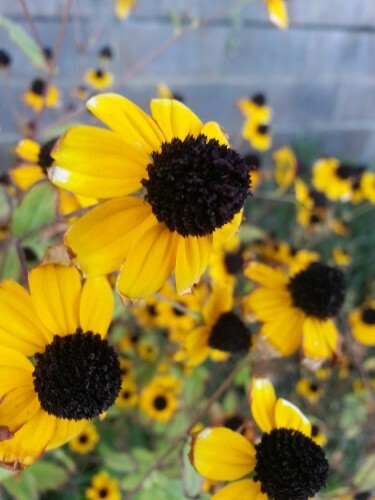 Black-eyed Susans are classic backyard flowers that are favorites of butterflies and of seed-eating birds. They’re boldly colored in yellow and orange, and they’re perfect for growing in drought-prone regions. Another couple of great flowers to attract butterflies are the chrysanthemum and bee balm. If you want to give these, or the other three butterfly-loving flowers we mentioned to someone you know, there are many flower shops and online florists that will ship them (or ship seeds to grow them)!